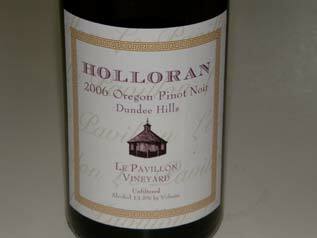 Holloran Vineyard wines have good retail distribution on the East and West coasts. The website offers little information. The phone is 503-638-6224.